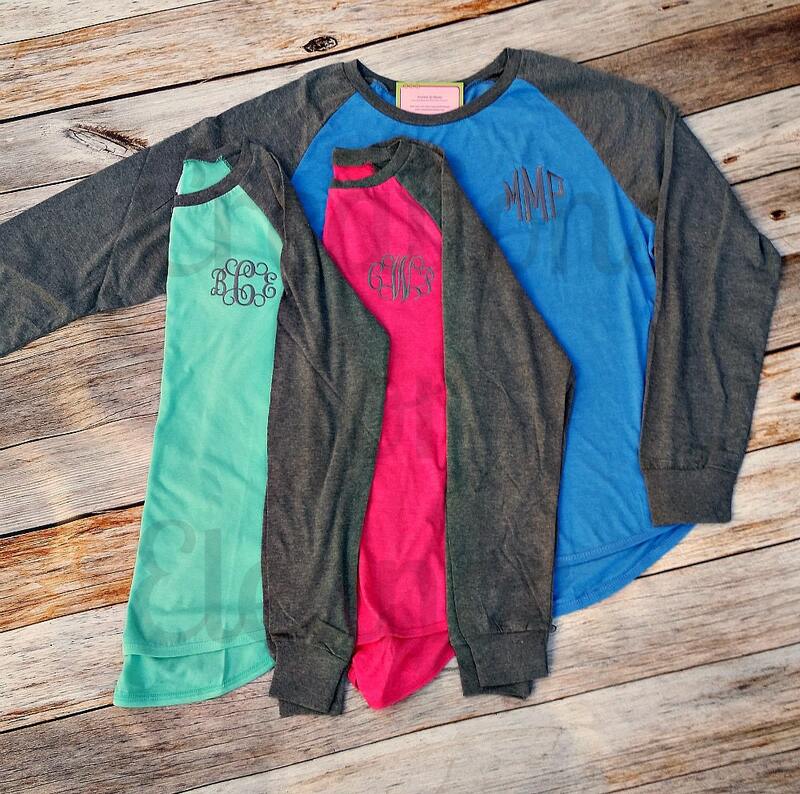 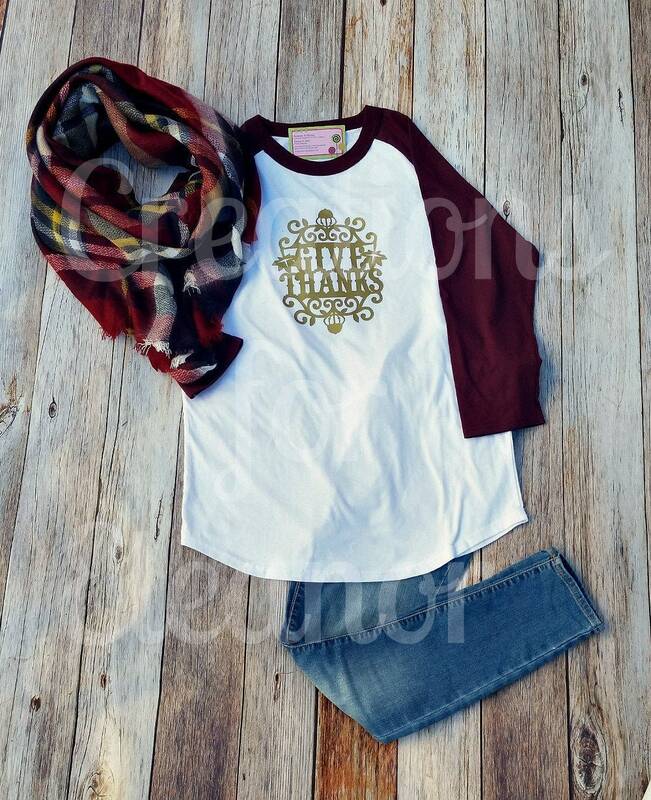 This basic raglan is given an update with fun colors and a cool grey sleeve. 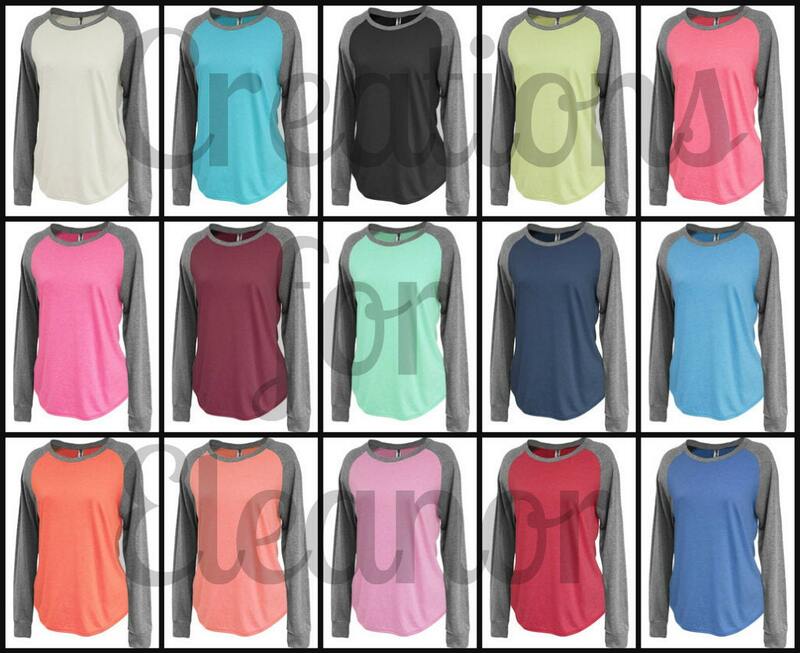 Shirt is made from a lightweight heather jersey, 60% cotton / 40% poly, has a hi-lo bottom and a women's fit. 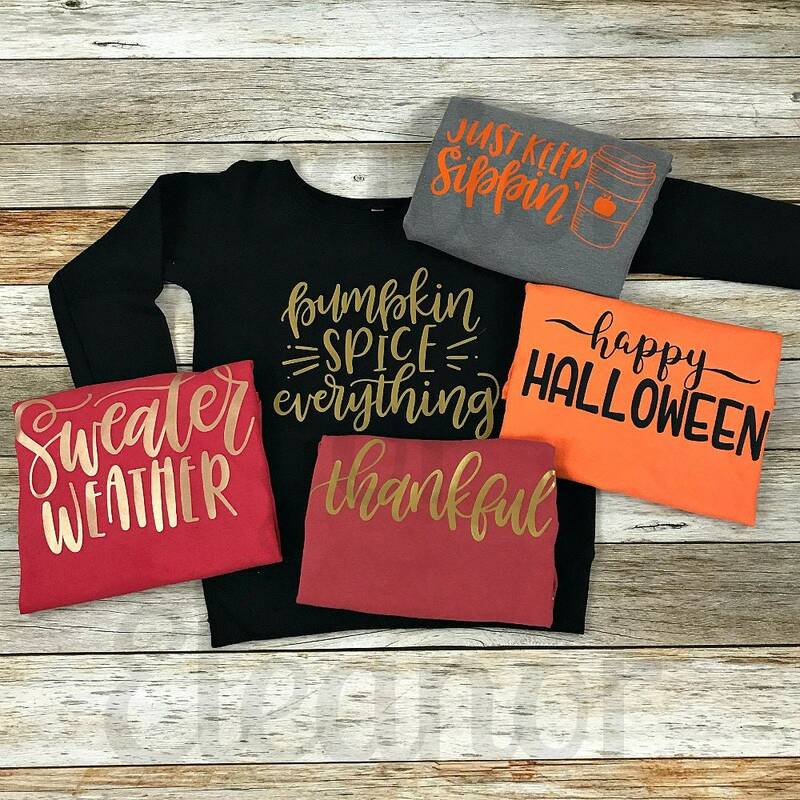 Shirt is printed in any of the designs shown. 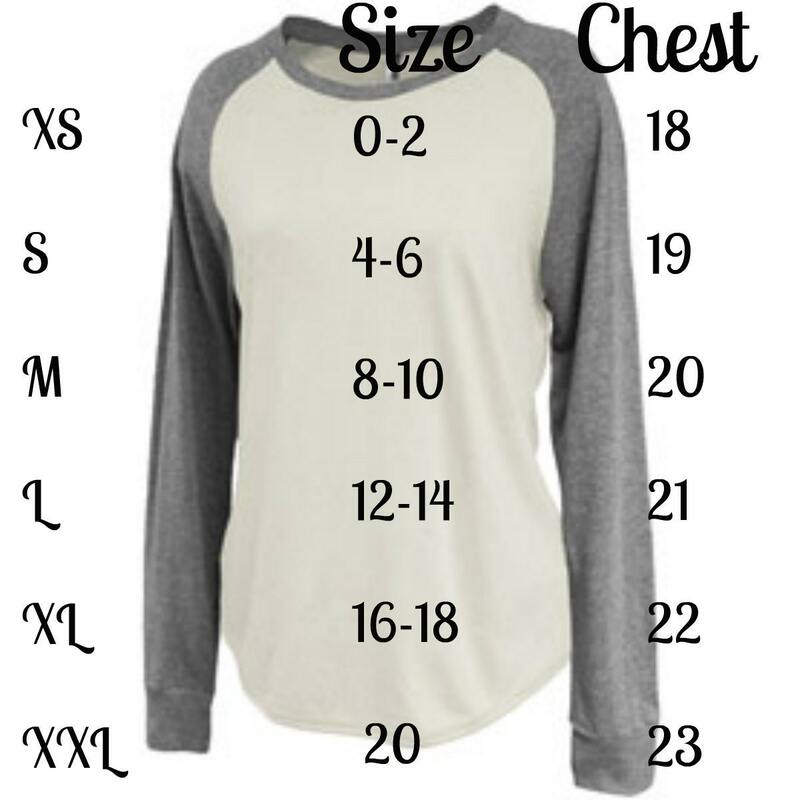 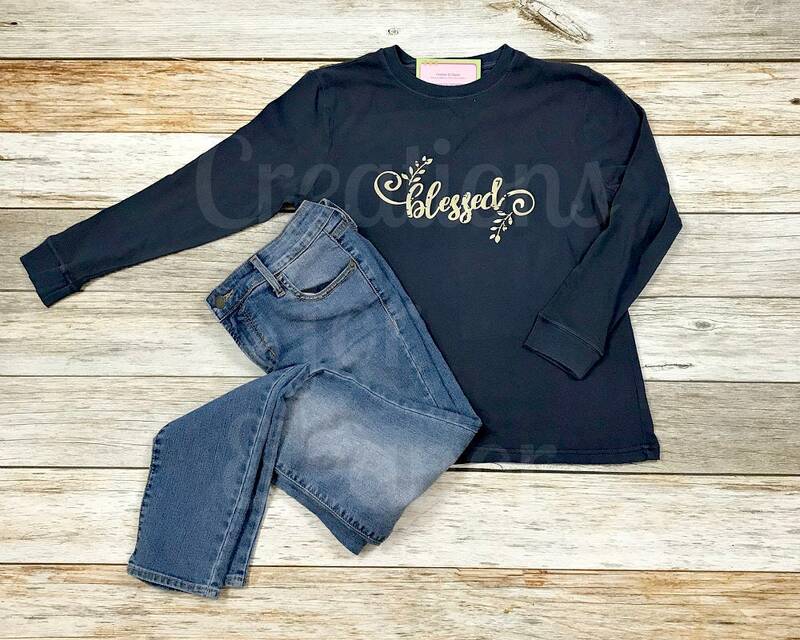 If no color is specified it will be grey to match the sleeves. 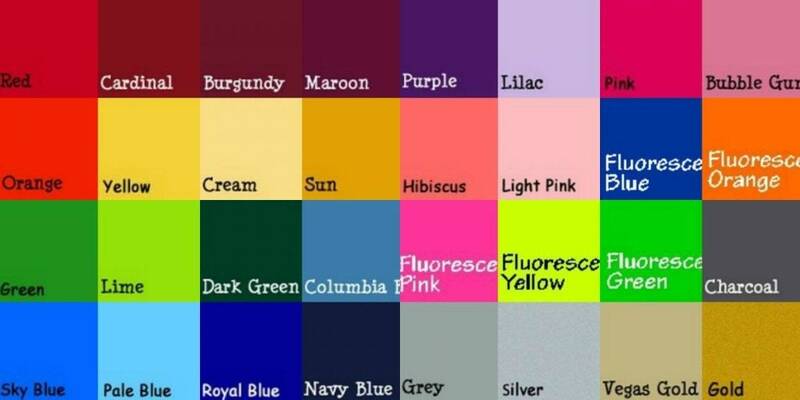 Refer to the color chart, not shown is black, white, brown and tan. 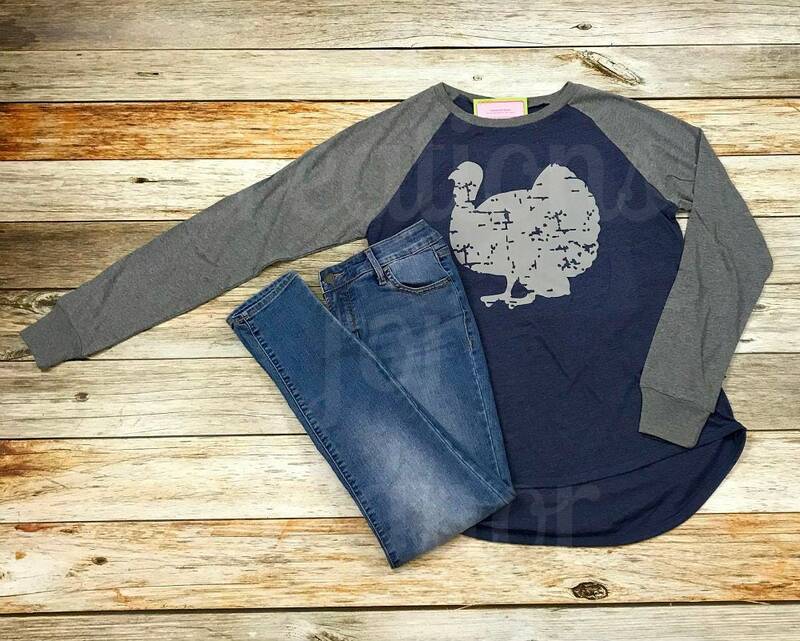 Please make sure to specify the design choice, if none is specified it will be the distressed turkey.